Mark Barroso left his desk in the dust, testing his fitness beside some of the best. Every year, hundreds of college football players flock to showcase their athletic ability at the NFL Scouting Combine, which is invite only. The very first one was held in 1982 in Tampa, Florida where it eventually moved to its current location, Indianapolis, Indiana. Since 1987, talented athletes have been showing off their football ability in hopes of getting drafted to an NFL team. This year, 323 players were invited to Lucas Oil Stadium -- home to the Indianapolis Colts -- to particpate in this popular event. Jameis Winston and Marcus Mariota, two top players from college football powerhouses were the ones to watch this year. 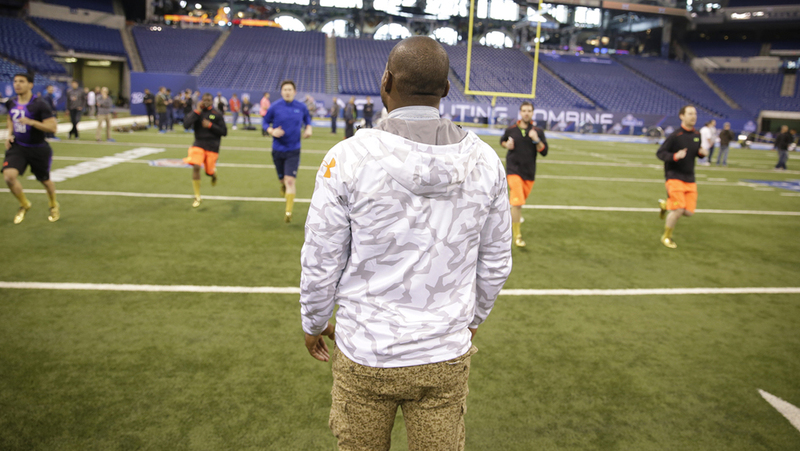 The event was sponsored by Under Armour and hopefully you were able catch it on the NFL Network. Each quarterback threw passes and Mariota ran a 4.52 40-yard dash with a 36-inch vertical jump, while Winston completed a 4.97 40-yeard dash with a 28.5 vertical jump. And although Winston's slower 40-yard dash time may not make or break him, for the majority of prospects at the combine, a hundreth of a second means a million dollars. Thanks to Under Armour's SpeedForm MC international shoe lauch, a few other editors and I tested out the 40-yard dash and vertical jump. Not trying to brag, but I did record the best time -- 5.16 for the 40-yard dash. Each player along with us were outfitted with custom-made Under Armour jerseys and the Speed Form MC cleats. Performance is everything on the field, and having the proper attire can drive a player even further on the field. Patrick Peterson -- All-Pro Cardinals cornerback -- has made it his mission to improve football players' performance. 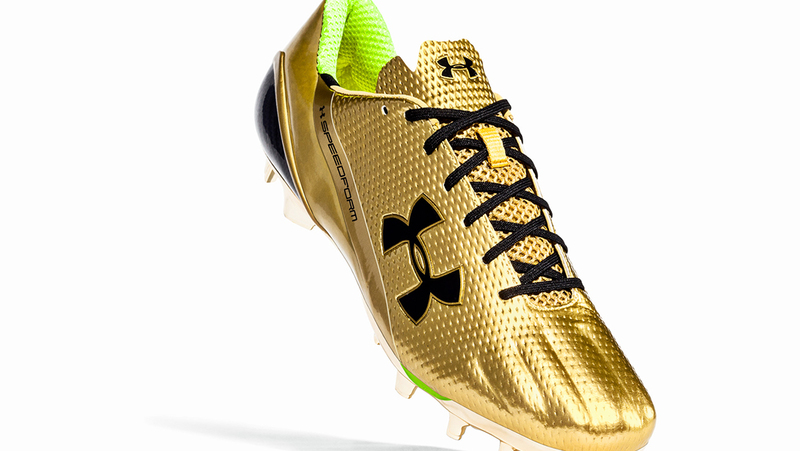 He is an Under Armour-sponsored athlete who has assisted in the design of the new cleat, which he'll be wearing throughout the 2015 season. A take away from this event is that NFL prospects are becoming bigger, faster, and more athletic each year. Georgia wider receiver, Chris Conley, broke the vertical jump record with a height of 45 inches, and Connecticut wide receiver Byron Jones broke the broad jump record with a 12'3" jump. Playing in the NFL is a long shot for most of us, but there is always a way to improve our own atheltic ability -- just like football players do. In the gym or on the field, you're always in competition with yourself, whether it's to hit a PR on the squat rack or beat your "last time" in the 40-yard dash.